We might be biased, but we are confident in saying that Lake Griffin Harbor is one of the best 55 and over communities in all of Central FL. 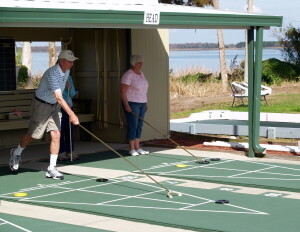 Arguably the biggest draw of our 55+ community in Leesburg, FL, is the fact that we are located on the southern shore of gorgeous Lake Griffin, a 10,000-acre freshwater lake that is a veritable paradise for anyone who enjoys being on or near the water. Lake Griffin is a superb place to fish, go for a boat ride, or just observe a wide variety of wildlife in their natural habitat. It comprises part of the Harris Chain of Lakes and even offers access to the Atlantic Ocean via the St. John River and various other connecting waterways. Please contact one of our Lifestyle Consultants today if you are interested in buying a home in Central FL and would like more information about all the great things that our active adult community in Leesburg has to offer to adults 55 and older. Lake Griffin Harbor is one of the premier 55 and over communities in the state.